A cheerful and vivacious performer, Josie’s spark for physicality led her to NICA where she graduated with a Bachelor of Circus Arts in 2012. She has been teaching and performing throughout Australia and beyond ever since. From festivals to cruises, Josie has appeared in the Adelaide Fringe Festival, the Western Australian Circus Festival, Crown Casino, Fly Factory and P&O Cruises as well as a variety of other freelance and corporate work. Recently Josie enjoyed working with 'Le Petit Circus', produced by Highwire Events and Entertainment, before joining the creation of and performing with TEOC. Josie loves heights and, like a cat, can always be found at the highest point wherever she is! Anna Murray is an energetic and charismatic artist who often finds herself onstage performing a wide variety of acts. She graduated with her Bachelor of Circus Arts in 2013 and in 2015, was accepted into and completed a 5 week course of hand balance training at DOCH, the prestigious circus school in Stockholm, Sweden. A highlight of her career has been performing with the dance theatre company KAGE, in their show “Forklift”. TEOC was born from Anna’s desire to further herself in group acrobatics and to show the industry exactly what she's capable of. 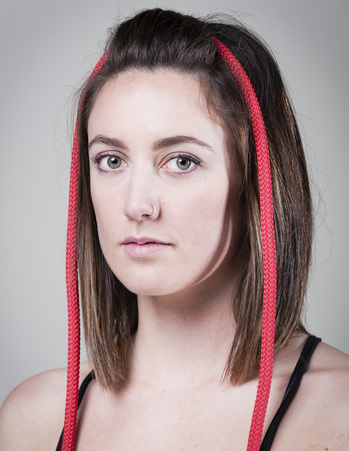 Recent recipient of 'Best Emerging Circus Artist' from Melbourne Fringe Festival, Anna is determined to push TEOC to its limits and continue to create successful, striking circus. And if you ever need a onesie, she's your girl. Alyssa is a versatile acrobat, aerialist and self pro-claimed comedic genius. Holding a Bachelor of Circus Arts, some career highlights include performing at Crown Casino, Fox Studios, Sydney Entertainment Centre, and the prestigious Festival Mondial du Cirque de Demain in Paris in 2013. She also helped devise and produce the independent productions 'Lives I've Seen' and 'Undertone' which won 'Best Circus' at Perth Fringe 2016. Her dream is to travel the world performing, sharing her love of circus and making you laugh until you wee yourself a little bit. Coming straight out of elite gymnastics in 2015, Rachael has taken a dive into the deep end of circus. A pocket sized power house, she picked up dance, flying trapeze and partner acrobatics in 2016 and has made the transition from athlete to artist seamlessly. Rachael is currently burning herself out studying a Bachelor of Nursing full-time, teaching every evening, dancing, cheerleading and of course, rehearsing with TEOC. Any spare time is filled with buying new socks to ensure she has a pair to match each and every outfit she owns.